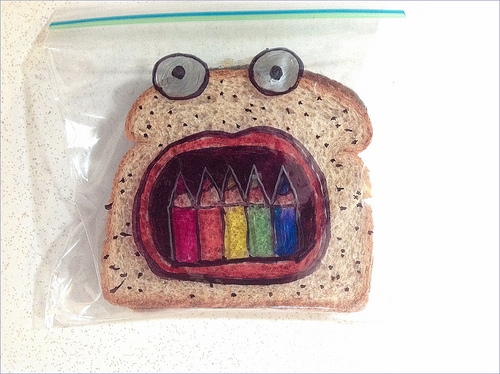 David Laferriere has been drawing illustrations on his kid’s sandwich bags since 2008. While he won’t win the go-green award, he sure deserves the creative dad of the year award. Made me smile! Make sure to see the entire Flickr set. A friend of mine has been doing something similar for his boys… http://lunchfortwo.tumblr.com/ So charming! Thanks to my father who told me about this website, this webpage is truly remarkable.